Now that 2014 is beginning to set in, I thought it a good time to revisit that inevitable New Year question, what’s going to take off and make an impact when it comes to digital marketing trends for the year to come? The world becomes faster paced every day; technology is evolving at an incredible rate, and although we haven’t quite reached the hoverboard just yet (despite the recent internet prank), it is an industry experiencing huge change. Just as an aside, if you haven’t seen the hoverboard prank, then check out the video below – it’s worth a watch. Marketing is no exception to the swiftly evolving tech industry and it’s a sector that will continue to evolve hugely again in 2014. No longer is it possible to rely on old tactics that once worked, as they are becoming increasingly obsolete, thanks in part to Google updates. In order to thrive in a marketing scenario it’s clear that social and location-based approaches, data powered insights, and the incorporation of mobile technologies is required. It’s also useful to think of marketing and everything that goes alongside it in a holistic manner, rather than separate parts. Growth hacking is one rapidly evolving area that’s sure to have a huge impact on marketing in 2014, as it does away with much of the traditional and focuses more on the product and consumer. “Over the past four years, the percent of American adult internet users who upload or post videos online has doubled from 14% in 2009 to 31% today. That includes 18% of adult internet users who post videos they have created or recorded themselves – many of whom hope their creations go viral. There is a marked increase in both interest in watching and generating video content. Some of this is undisputedly down to the small screen; the smartphone that has become so necessary in contemporary life. Video is a huge growth industry and it is one that will only grow in 2014. 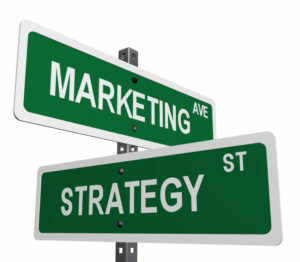 Many marketers main concern is reaching customers and understanding whether their campaigns are effective and successful. Adobe commissioned a survey of 1,000 US marketers and found that they feel strongly that a company can only succeed with a strong digital marketing approach. Interestingly, the survey found that marketers kept a closer eye on social media marketing over other areas like digital advertising. This is due to industry predictions that over the next three years social media marketing will become the most important consideration to marketers. Bearing this in mind, social platforms and tools will continue to evolve into a more powerful tool, as will social analytics and the software that helps companies to carry this out. We’ve just mentioned the importance of linking data to a marketing strategy, but what’s the easiest way for you as a marketer to do this? Marketing is moving towards a much more data driven approach in 2014 and as such, it’s essential that you use analytics tools to effectively measure data. This will help you to see how effective your current strategies are and allow you scope to test out new tactics. There are easy ways to start embracing data driven research and Google offers excellent tools to help. A good combination to use is Google Webmaster Tools combined with Google Analytics and on top of that there are even more tools to perform A/B testing. You could use Optimizely and Unbounce and there are also user feedback tools like Qualaroo and Survey Monkey. Google Analytics and Facebook Insights. Many other sites also provide their own tools to help you keep track. Twitter, App.net, Pinterest and others allow you to claim your domain name and receive detailed analytics regarding user engagement and traffic generated through those web sites. In 2013, two of the bigger online success stories were Buzzfeed and Upworthy and it’s important to note that those sites were not generating content but finding it. Those sites are focused on content curation and the presentation of that content to an audience that wants to see it. Both sites enjoyed huge success just from users sharing the content that they had sourced and it proved that it’s not necessary to create the content yourself as long as it’s good and original. So those are some of the trends to watch out for in 2014. As marketers you should really attempt to embrace those trends and stay ahead of the curve. There is no way of telling when the methods mentioned above will become obsolete, sending us all back to the drawing board.